Mame June & Honey Boo Boo Family Affair in Vegas ... Pumpkin Got Married!!! 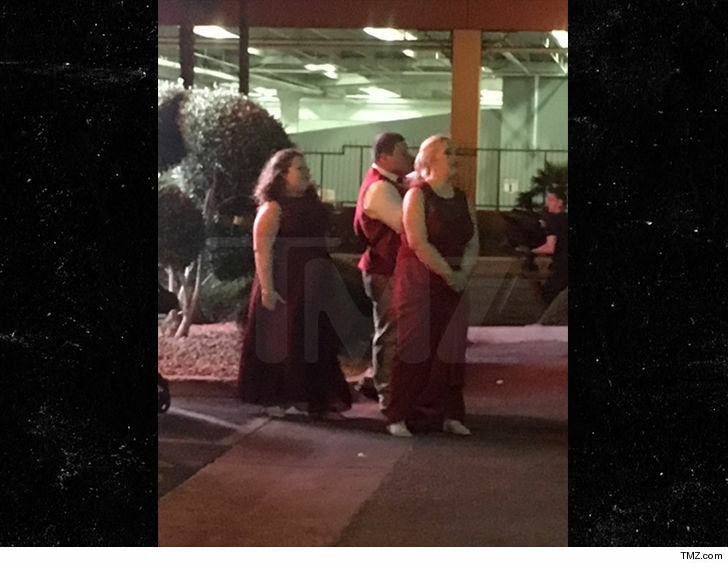 Mama June's family has officially expanded by one -- because Honey Boo Boo's big sis just got hitched! June's 18-year-old daughter, Lauryn "Pumpkin" Shannon tied the knot with her fiance, Joshua Efird, Monday night in Vegas ... and then the whole crew hit the Strip for a dinner at Buca di Beppo. We broke the story a couple years ago when Pumpkin got engaged to her then 19-year-old BF. They'd only been dating for 9 months, and she was only 16. Despite the age gap, June approved of the engagement because the kids were taking things slow. The plan then was to wait 'til Pumpkin was 18 before getting married ... and that's exactly what they did. They didn't take it slow in the baby department though -- the couple had a daughter in December. 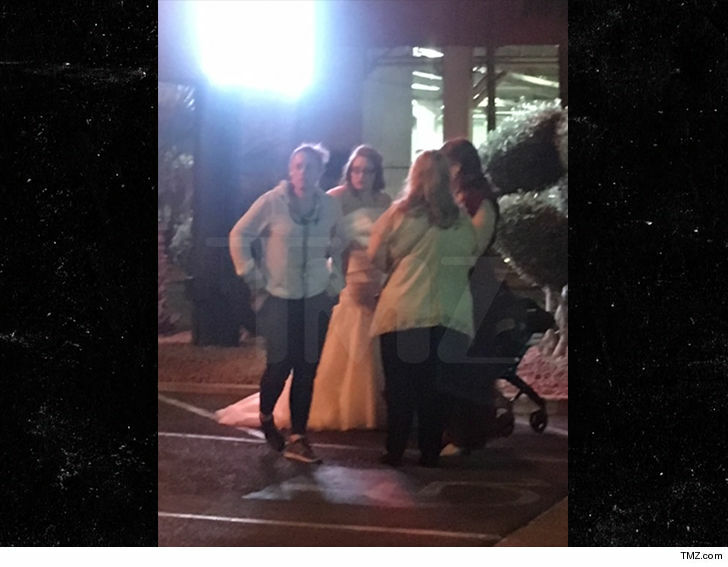 We're told TV cameras were shooting Pumpkin and the wedding party, so it's a good bet the happy event will be on the new season of "Mama June: From Not to Hot."